Planned to make repairs in the bathroom - bought building materials, plumbing, start working. 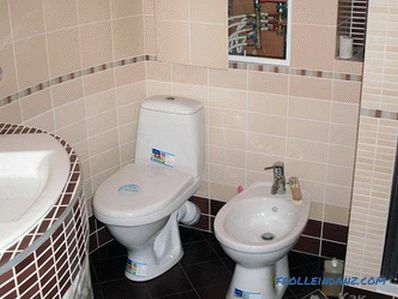 And, of course, we will have to resolve the issue with pipes laid in the bathroom. Therefore, during repair, a completely normal question may arise - what to do, how to close them and what? It is better, of course, if there is an opportunity to broach a niche in the wall and hide them inside. But if it is extremely difficult or impossible at all, then you should think about how to make a pipe box in the bathroom. There are several ways to do this - use drywall or plastic products. 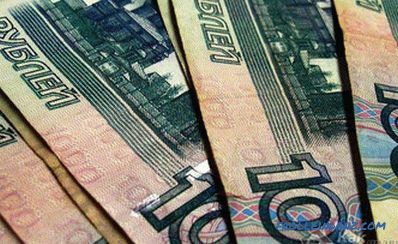 This article will describe the worthy sides of each of these options. 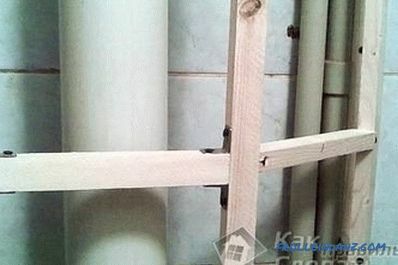 Before how to make a box, it would be nice to check the status of plumbing fixtures. Agree, it will be very unpleasant if after making the box it turns out that the pipes are leaking somewhere? Therefore, it is better to pay special attention to this moment before installing the box and fix all the flaws at once, without waiting for problems. For We start taking roulette and measure all the directions we need. What and how we measure? 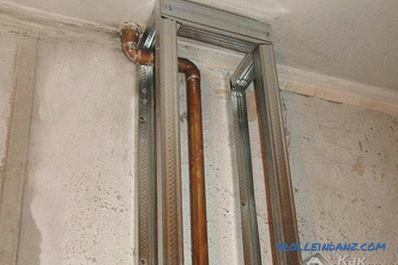 If the pipes in the bathroom run vertically, then the profile is also measured in height. 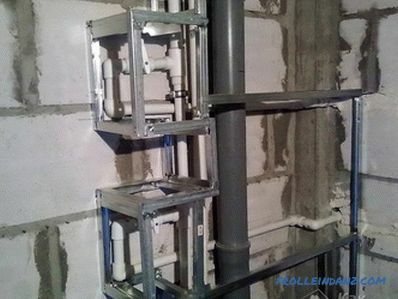 In this case, install it vertically, fastening it to the walls with dowels parallel to the pipes. Then measure the transverse pieces of the profile width and set them across as struts. We connect, as mentioned above, with metal screws. 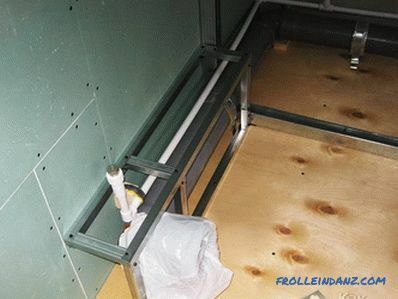 Wooden frame We install the box as close as possible to the pipes in order to win more useful territory in the bathroom, but do not forget that between them there should be small distance. 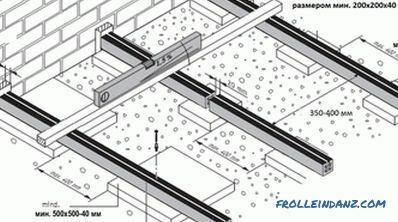 By analogy, in the case of laying pipes horizontally, the profile is laid parallel to the pipes, but already fastened to the floor (also with dowels). Further jumpers are also placed, but already vertical. Jumpers are best not set very often. So, the profile frame is made. Now we measure with a tape measure the length and width of the drywall we need. Having measured, cut the necessary pieces from the main sheet and fasten them to the frame. In order not to confuse anything, it is better to write down the dimensions in a notebook with indication of attachment points. If somewhere a drywall protrudes a little beyond the edges, you can trim it with a special knife for this purpose or use an emery cloth. In the place where taps or meters are located, do not have to go through the profile. Therefore, it is better to leave around the same counter "window", which can be closed with a special neat hatch, cover or louver. In general, how it will be closed, decide for yourself. 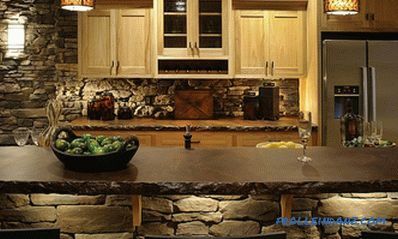 Once the drywall is firmly fixed, you can proceed to its exterior finish. To do this, you first need to strengthen the seams with a reinforcing mesh for drywall. 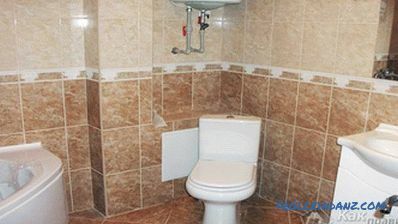 Next, we select tiles for your taste, with which we will finish the walls in the bathroom. That the box was not allocated, it can be revetted with a tile with the same sizes and the same color. Well, on this we can say that the box of plasterboard for the bathroom is ready. What good is a box from plastic? 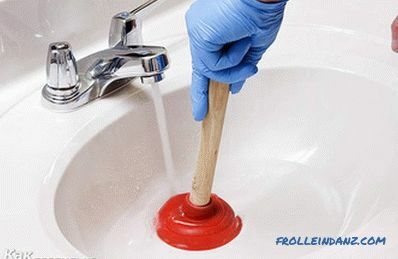 It is easy to manage it in the course of cleaning. It is perfectly washed off from virtually any dirt stains, is not afraid of temperature changes. Yes, and another plus is the relatively faster installation of this design compared with the first option. Installation actually takes very little time. 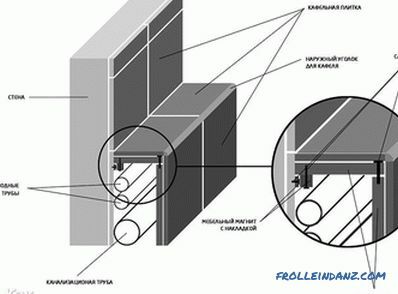 Making such a box, you can forget about the aspect that is often present in the houses of Soviet construction - curved walls, since you will not need to align them, at least in the place where the box will stand. 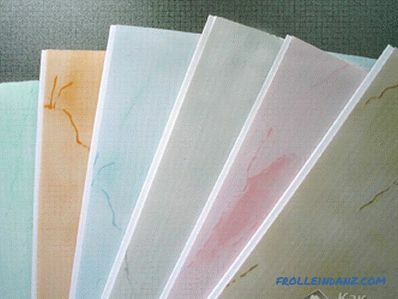 The advantages can also be attributed to quite good resistance to deformation compared to tiles. Such a box is easy to repair. If in the first case the tile cracks, then it will not be very easy to replace it - you will need to remove it without damaging both the drywall itself and the neighboring tiles. In the case of plastic repair is easier. Since this box consists of keyboards with the principle of recruitment like a laminate, then in case of anything, replacing such a panel is a matter of a few minutes. And there is a clear savings - for the tile need glue, grout for the seams, corners.For a plastic box, this is not necessary. When making a box of plastic panels, it is necessary to lubricate the joints with silicone sealant so that water does not get inside. 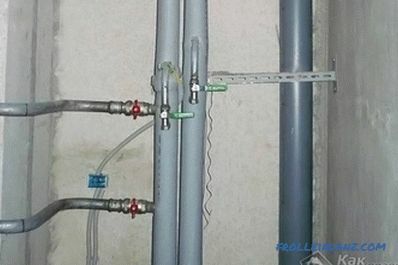 In any case, whichever of the options for making the box with your own hands was determined, its purpose is important - to close the pipes that look in the bathroom is not very beautiful, also leave quick and convenient access to them. 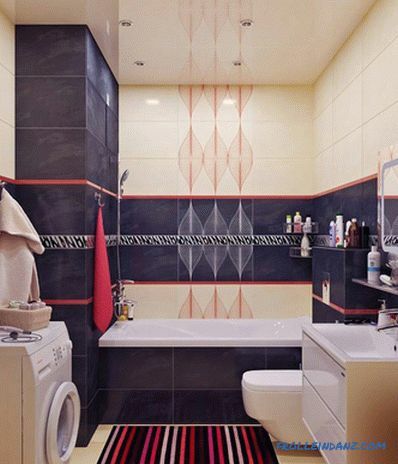 The box should have a great design, combined in all other elements of the bathroom.